Getting rid of junk, debris, construction material and any type of clutter in Johns Creek has never been as easy and seamless as it is now! 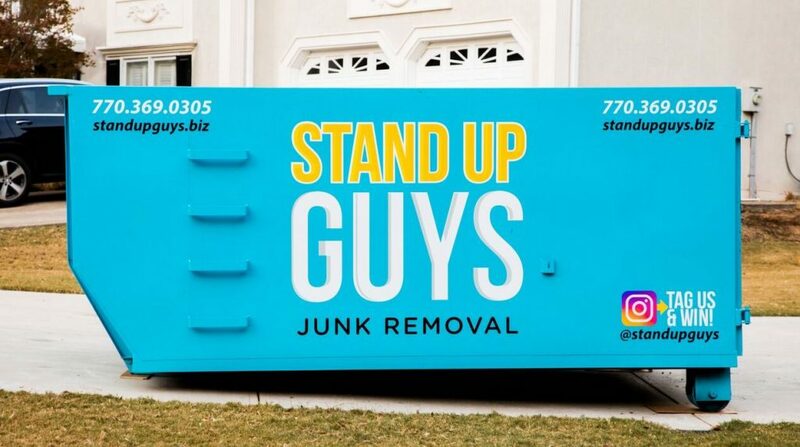 For the longest time the process of removing unwanted junk from your home was a pain. You had to have a friend with a pick up truck and a place to bring your unwanted items, and the entire process was long and drawn out. Whelp, those days are a thing of the past, because now there is the one and only Junk Bucket Dumpster! Johns Creek’s most beloved dumpster rental service! 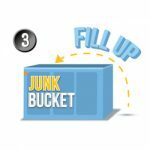 The Junk Bucket Dumpster makes getting rid of unwanted items and clutter as easy as ever. Our process is simple. Loading the dumpster is easy. The price is affordable and you can get rid of virtually anything without a hiccup. The Junk Bucket Dumpster really does it all! Not to mention, the beautifully baby blue, sleek design will make you the envy of the neighborhood. Nothing will make people jealous like seeing one of our incredible Junk Buckets sitting pretty on your driveway. With a trusty Junk Bucket Dumpster sitting on your property, you can effortlessly remove all the unwanted clutter from you home. You can do it on YOUR time too. Go as fast or as slow as you like, it’s your Bucket, you do you. 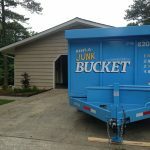 We service and deliver Junk Buckets all over Johns Creek and the surrounding areas. Johns Creek is where we first started, it’s what we consider home. 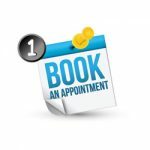 Our Johns Creek clients are special to us. 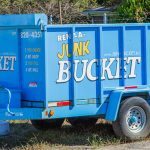 Renting a Junk Bucket Dumpster to remove junk, construction debris and clutter from your place in Johns Creek is as easy as pie! 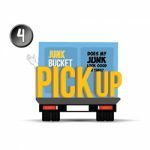 All you have to do is pick up the phone and give us a call at 770-369-0305 and let us know when and where you want your Junk Bucket. We’ll take care of the rest. Just sit back and get yourself ready for an awesome junk’n experience. 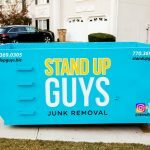 At the time that YOU requested, two of our uniformed Stand Up Guys professionals will be out to your Johns Creek property to deliver your Junk Bucket Dumpster. 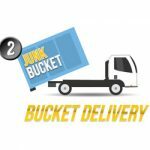 We will drop the Bucket wherever you like and wherever it will be easiest for you to load up your junk and other unwanted items. Then take your time and get to cleaning out the junk. You get to do it all on YOUR timeline, not ours. Once you finish, just let us know and we’ll take care of the rest. Removal, disposal and all.